Nazareth: The rights of Palestinian children are routinely violated by Israel`s security forces, according to a new report that says beatings and torture are common. In addition hundreds of minors are prosecuted by Israel each year without proper trial and are denied family visits. The findings by Defense for Children International,(DCI) come in the wake of revelations from Israeli soldiers and senior commanders that it is “normal procedure” in the West Bank to terrorize Palestinian civilians in the West Bank, including children. Such revelations have grown in number since the Breaking the Silence began drawing attention to the army`s mistreatment of Palestinians in 2004. Israel, You and your children have been duped. Israel has no desire for peace, as can be proven by recorded statements of zionists throughout history..
“”Shamir has said Israel must keep the territories in order to accommodate the immigrants. “A great aliyah [immigration],” he said, “requires a Greater Israel.”(5) He has insisted that, although Soviet Jews are not being directed to the territories, any Jew has the right to live anywhere in the land of Israel, which for most Israelis includes the territories. As Foreign Minister David Levy said in August: “The right to settle every part of Israel is unequivocally clear even if there are disagreements over this matter. Israel`s stance on this issue is known.”(6) Israeli and many American Jewish leaders see the matter as going to the very core of the Jewish state`s mission, which is to “redeem” the land of historic Israel on behalf of the Jewish people. Briefly, I will add a word or two about my old friend, Ben Freedman, I consider it an honor.I was initially introduced to him as a sort of, well you meet a fellow, but I’m not so sure about him -he may be a sort of a Trojan Horse. Well, I said, let me make up my own mind. In the years that have followed, I make up my own mind I spent many happy evenings with him and his wife, Rose, who is not with us anymore. When Ben was over twenty-five -and, as I say, he comes from a very distinguished Jewish family in New York. When Ben moved over into the areas of Christianity with Rose, it took a great deal of courage. “Guts,” is the name in the Marine Corps, for what it took. Ben has been ostracized by many of his friends for believing that this Country had objectives and ideals that did not appear in the minds of some of our alien citizens. I am very honored to be here. I don’t know how to start to thank Col. Dall for making it possible for me to address you. But I hope that things work out so that you will feel grateful to him. And if you will try to make a little use of the information I can give you, you may be very helpful in saving this country from the fate which has befallen Great Britain and, maybe the Soviet Union (Czarist Russia). We are in a very serious state at the present time. I’ve just returned, within the last four weeks, from an extended trip in what is known as The Middle East. I am very friendly with the heads of the government, the rulers who know me for 25-30 years, who talk to me and treat me, as a brother. I stay with them at their homes, and we call each other by our first names.Now, all I can tell you is that what I am going to tell you may not make you feel any more comfortable. But the less comfortable you are after hearing me, the more chance you will exert whatever influence you can to save this country from a fate it doesn’t deserve. After the men I see here get to know their records, what they have done to pull us out of the ditch, once, maybe twice, I don’t think it’s fair to these men to see us now, dragged down into the sewer of history – which is where we are bound to go, if things deteriorate – that really is not the word, – if things degenerate at a more rapid pace than they have been degenerating the last ten or fifteen years. Now, before I make this talk, I would like to call your attention to one thing. I am going to use a word, you hear the word, you read the word, and you use the word, Jew, as though it is something that could be weighed and felt, has a background. I’m going to use that word, although I never use it in my own personal affairs or in my private life. Now, I want to explain that Dr. Samuel Johnson wrote the first English Dictionary in 1797. That’s only a few years from 1800, which isn’t so very long ago! It consists of two thick volumes. And it has possibly every word that was then used in the English language. I have shown that to many important people in all walks of life, and they were amazed, because when I told them what I am going to tell you now, they didn’t believe me. So I acquired these two books – cost a little money. They’re first editions, rare! In that book, in those two volumes, the first English dictionary ever published by Dr. Samuel Johnson, (about whom, many of you know) the word, Jew, does not appear! The word, Jew, does not appear! That word was coined, forced on you, stuffed down your throats by control of all the media by the people who are interested in leading you to slaughter. The word, Jew, did not appear. They say Shakespeare used it. They cite all the people who used it. It did not exist. I don’t want to go into that, now. I don’t want to give you a discourse in philology. We have something more important. But I am going to talk about that word, use it; but I want you to know that I never accepted it, and more than, let’s say, the people who refer to artificial silk. Well, artificial silk has certain handicaps. I imported it, when it first came out. It was made in Germany, and it was called artificial silk. And it had a repercussion. People didn’t like to buy something that was artificial anything. So the manufacturers got together and they awarded $25,000 as a prize to anyone who could get up a good word to use instead of the word artificial silk. That prize was won by somebody who coined the word, “rayon.” Today, people talk about rayon as though it existed from the beginning of the world, as though it always existed. “Rayon” is a modern word and the man who coined it was paid $25,000. The word, “Jew,” was coined for a purpose by the people who got us into two wars, who laid a trap to get us into a third one, and who have practically taken over the control of the world, especially the control of this country according to Senator Fulbright and others. So it’s about time that you learned the basics and did something about it. I am certain that, unless something is done to change the thinking of the 200,000,000 U.S.A. Christians, that this country is headed for disaster! There are 200,000,000 Christians in this country who have been brain-washed, from morning to night, by radio, press, television, motion pictures, every media – the mass information has been used to deceive you into believing things that they knew were deliberate lies and part of their scheme to brainwash you. One of them is the word, Jew! Now, I’ll tell you what a lie that is! I can cite the sources here that I’ve consulted, maybe 234 official documents, maps, books, and other records, but the best is one that I found in the last few years, The Encyclopedia Britannica, the 1911 Edition, Volume 15, three pages, define the word “Khazar.” Three pages! Now, that book was published in 1911, in London, and it probably took twenty-five years (whoever compiled that information) to accumulate it. It’s the research of many people. Many of the sources of information are mentioned at the end of the article. But you will find that the Khazars were an Asian nation; they were a Mongoloid, Turko-Finn tribal nation in Asia. And they had so much trouble with the other nations there, who finally succeeded in driving them out of Asia, across the border, into what is known today as Russia, in the area of the Ukraine. They found, there, a lot of peaceful agricultural people, mostly Slavic, and they conquered them. They did the same thing then as they are still doing in the Middle East! They took them, for no reason at all, except the people weren’t trained to fight! They established there, the Khazar Kingdom. Now, those three pages in that Encyclopedia Britannica, Vol. 15, the 1911 Edition tells you who they are, how war-like, how savage, how barbarian they are, and that they succeeded in sweeping across Europe to the gates of Paris, and to Finland. They controlled all Europe – these Mongols known as Khazars! They did that from maybe the fourth century to the ninth century. And they were the most brutal people. They enslaved these people and exacted tribute from them, while holding them under their control – practically all Europe. Until in the 8th century, a man by the name of Rurik. a Varengian, who came from across the water, from what is known today as Sweden, – he organized these people. They were living as people interested in agriculture. They didn’t want any politics, they didn’t want nations or governments. But he saw what they were subject to, this treatment by their Khazar conquerors. And he organized the principality of Rokh, which became the Russian Empire. He organized them, and started to drive these Khazars back. And he finally succeeded to where they came into Europe for the first time, in the area of the Ukraine, where they continued their Khazar Kingdom. I have with me, now, a circular that I received in the mail last week, the March of Dimes put it out with the assistance of the Rockefeller Foundation, and they recite the whole thing; because they have found, in recent years, that the Khazars are carriers of a disease that no other people in the world have. Here’s the circular that they got out. It’s called, “Kasak Disease” (The Jewish Disease – Tay-Sachs). I have known about it for years. The New York News newspaper had a full page on it, called “The Jewish Disease.” They explained the whole thing, so I went into it, investigated it, and gave a little money to one or two clinics that were trying to do something about it. The Eastern Europeans, of Khazar ancestry, known as Jews, are carriers of this Kasak disease. When one Khazar marries another Khazar: (I don’t say so, Mt. Sinai Hospital, the Jewish Memorial Hospital, the Rockefeller Foundation, they’ve all done a lot of work on it. They published these figures and these statistics . . .) that one out of four children, when one Khazar marries another Khazar, or of that ancestry, that child can’t live beyond three years. And the death that that child suffers is too miserable to describe to you. Out of the others, two of them become carriers, and one is clear. Now I have maintained, after listening for twenty-six years to every meeting of the United Nations… (I attend, and I sit there, and I hear these representatives of the so-called State of Israel, talk) . . . I’ve been saying for many years, before I even knew about this, – they must be crazy! How can they say those things before the representatives of 131 other nations? How can they say that? Have they no shame? But, I found out they are suffering from this disease. Now, those are the people that again went on the war-path, and they are now up to their old tricks and have been, because after this Russian Empire expanded, they conquered the Khazar Kingdom, and incorporated the people and the territory in the Russian Empire, and the so-called Jews in Russia, who were then the orthodox Jews, we’ll call them, . . . Russia had become a Catholic country, under Vladimir the 3rd, in 986 . . . they couldn’t get together on anything. Now, what happened? They have been at war ever since. And after the 11th century, when they were conquered, they pledged that they would never accept that conquest, that they would keep on organizing and revolting to again declare their independence and set up their Khazar Kingdom. That was in the 11th century! They have been fighting the Czarist regime, ever since, and I don’t want to go into detail, but I can give you plenty on that subject, and no one can deny it, because I can give you chapter and verse of hundreds of books, maps that I’ve taken, had photostated, all over the world, in the public libraries and museums. Now, you have these people, organized, and all of a sudden, something developed. The last revolt that they started was in 1905. According to the Encyclopedia Britannica, under the word, Bolshevism, one of the five rules for their revolt was: Never start until the armies of the country are engaged otherwise. And in 1905, when Russia was at war with Japan, in the Far East, they started their last revolt, – and they were slapped down, like every other one since the 11th century. That’s where I come into the picture. – I wasn’t alive in the 11th century, though! But, what I am trying to tell you, though, is that in 1905 they took this terrible licking, like, here. Jacob Schiff came back to New York (He was at that time head of The American Jewish Committee), and in my father’s home (I was a young man then), in the presence of many prominent men some of whom you’ve heard the names of, he retold the story and I looked at the books in the Public Library, Memoirs of men who were in the room at that time, names that are familiar to many people that are here. That is a -fact. Now, what happened? They ganged up in New York, to get rid of Taft. I was a protégé of Mr. Bernard Baruch – a name that I think you are all familiar with. His father was a doctor, Dr. Simon Baruch, who had brought me into the world, and Bernard Baruch was a visitor at our home all the time. He courted my sister; one of my sisters. So the stage was set to get rid of the Republican Party and the Republican President and put in their own party and their own President. But it was very difficult, because, after the Cleveland depression (President Cleveland was a Democrat, we had Free Trade) we had the worst depression ever seen anywhere. And that swept the Republican Party into power, because they advocated tariff, protective tariff to protect the working man against the cheap labor of Europe and to protect the infant industries, in the United States against foreign competition. Mr. Schiff went down there and had this conversation, came back to New York and the stage was set. And I, as a young man, got into the act. What I am telling you now, I saw with my own eyes, heard with my own ears, but I make it brief. The stage was set: “How can we get rid of the Republican Party; how can we get rid of Taft” – and Mr. Baruch was picked out as the leg man. He was a smart man! They set up the National Democratic Headquarters at 200 Fifth Avenue, which was the site of the old Fifth Avenue Hotel, now an office building, and Mr. Henry Morgenthau, Sr., the old man, the father of the one you all know, was made chairman of the Finance Committee. I was made his confidential assistant in liaison with the Treasurer, who was Mr. Rollo Wells of St. Louis, – the Andrew Mellon of his time. And I was right in the middle! I saw everything that went on, because I handled all the books that had the cash contributions in them. Mr. Jacob Schiff and the Jews (use that word as I told you, with reservations) put up the money to launch this Party, and they looked around for a man to put up as President. To make a long story short, because the details aren’t very interesting, they got Woodrow Wilson, a rascal who wasn’t worth the powder to blow him to hell! They got Woodrow Wilson, the man who had more ego than any man I have ever read about, they got him to head the Democratic Party. And they got into difficulties! Because the Democrats only got the Electoral votes in the South; where the people in agriculture wanted cheap goods from Europe. But the North wanted the Republicans. They found out they could not elect a President in the United States. So, I handled the money; I was the leg man, the errand boy (I was only a boy then.) They trotted Theodore Roosevelt out of the political “moth-balls” (He was then an editor of a magazine). They told him, “You are the indispensable man. You are the only man who can save the United States.” And with his ego they formed the “Bull Moose Party” and Mr. Jacob H. Schiff and the Jews throughout the world – they got plenty of money from England – they formed the Bull Moose Party. And in that way they split the Republican vote between Roosevelt and Taft, and Mr. Wilson walked in with a minority of the popular vote – the lowest man, (and I knew the inside of his private life, which I don’t want to go into here). But never was a lower rascal in the White House, and I’ve known plenty of them since that time! Now, Mr. Wilson really didn’t know enough to come in out of the rain! I cannot understand how he ever got there, except that in shuffling the cards, they had the goods on him, You find in politics, every time they pick a candidate, and put him out in front, they have the goods on him. You know he had been sleeping with the wife of the professor who lived next door to him at Princeton, whose name was Peck. And they used to call Wilson, at Princeton, “Peck’s bad boy.” When she got a divorce and moved to Washington, she married a man who had a son. And that son borrowed $40,000 from the bank, without asking them. He didn’t know how to pay it back, and the pressure on him was getting very, very hot. So this woman heard of Samuel Untermeyer (of the big firm, Googenheim, Untermeyer and Marshall) a prominent Democrat; and supplied much money to the party. She went to him with a big package of letters which I read (Wilson was a great letter writer. He knew the language; there’s no doubt about it, Wilson knew his vocabulary, when it came to making love, anyway). So, they cooked this up and she got the idea of blackmailing him. She got Samuel Untermeyer to go to see him, as a lawyer. He was a big contributor to the Party and he knew Wilson, and he went there. To make a long story short, Wilson didn’t have the money; Untermeyer provided it, and the boy paid the money back. Now, Mr. Untermeyer told President Wilson, “I’ll advance that money if you will do one favor for me. The next opening on the Supreme Court, I want to name the man.” He said, “We’ve never had a Jew on the Supreme Court I think there ought to be a Jew on the Supreme Court.” So Wilson said, ”It’s a deal!” and they paid the $40,000. When a vacancy appeared on the Supreme Court, Mr. Untermeyer recommended Mr. Brandeis. Mr. Brandeis was the number one Zionist in the United States; the head of them all, and he became very friendly with Wilson. And when the war with Germany broke out, the war between England, France, Russia, and Germany and Austria, the United States had nothing to do with it. They all thought England, France and Russia would crush Germany in 60 days. Big headlines in all the papers. I was very active then, in politics, “Boys home by Christmas, Boys out of the trenches by Christmas,” but when Christmas came, the war was getting hot! Baline, a Jew, was the head of the Hamburg-American, North German-Lloyd lines. Even the private bankers, the Hohenzollerns, were Jews. The head of the German General Electric Company was a Jew. The biggest companies, – there was no discrimination at all, in Germany. And the Jews had a picnic there, but they were not the Khazars! They were so-called Jews that came into Western Europe with the Roman armies; that came from Judea when the Romans occupied Western Europe, and there were two houses of worship, one in Speyer, one in Lyons, little stone houses, in the second century, which was 600 years before the Khazars were converted. So the German Jews were just as much apart as the Arabs and the Khazars, today, in fact, there was a saying, I don’t know if I can say it in this company, but when I lived in Germany, the Germans said about the Pollocks – (they called them “the Pollocks,” the Eastern European Jews), “Where a Pollock pisses, grass will never grow.” They hated them! They could never allow their children to marry. So, when Germany was winning the war, the Jews were very happy, because they didn’t want Russia to come out the winner, with France and England, because they thought it would be tougher for the Jews in Russia. So, they were all pro-German. What happened? When the Germans trotted out the submarines, – England in August or September, I don’t remember just which week, but General Haig, in London, warned the English, “We have less than two week’s food supply for the whole nation of 55,000,000 people.” The food and ammunition boats were sunk so quickly, they couldn’t get food or ammunition. So, England was offered a Peace Treaty by Germany. They were offered a Peace Treaty twice! It was on the desk of the British War Cabinet, ready to be signed. It needed only one signature. What happened? The Khazar Jews in New York, Washington, led by Brandeis, made this promise through Fleischman & Sockloff in London. They went to the British War Cabinet and they said, “You don’t have to make peace – which is tantamount to surrender. We can show you how you can win the war, if, when you defeat Germany, and carve up the Ottoman Empire (or Turkey) you will give us Palestine. And they made that deal. It was all written. I don’t say so; Other people don’t say so. The Zionists, in the books that they have written, tell this whole story. How they got the promise of Palestine, by promising to use their influence to get U.S. into the war. That’s how they are going to turn against the United States; the same way they turned against Germany; after everything Germany did for them, since 1822. They made the deal to bring the United States into the war, which meant certain defeat for Germany; which was triumphant, then; offering a peace that was tantamount to surrender. So, when that offer was made, the Zionists in London went to the British War Cabinet, according to their own books, their own record, in the British Museum. I circulated thousands of copies of this 12 page memorandum by the man who negotiated it. When they were bombing London in 1945, he thought he’d die. And he typed this out, this true story, and gave it to the British Museum for posterity. That’s available. Anyone can have a copy of it. I sent out thousands, – maybe ten thousands of them. Now, the United States got into World War I. How did they get in? They didn’t know how to get us in, because the Germans leaned backwards. They said, “We are going to do nothing on land, on the sea, or in the air, to provoke or justify a declaration of war by the United States, because we’ll be licked! Now, we’ve won the war!” Which they had. The Russian armies were in retreat; in France, the army had revolted, and wouldn’t fight. There was no more fight left in the allies. So, what happened? They went to Great Britain; made this offer; Great Britain accepted it. Then the question came, How to get U.S. into the war? They couldn’t get us in if the Germans didn’t give us provocation or justification. So, what did they do? A message was sent to Washington, that the S.S. Sussex, a ferry from Dover to Calais, had been torpedoed in the Channel and 38 Americans lost their lives! I’m not going to string this out, because I’ve got a lot of other things to tell you! On the basis of the torpedoing, and the loss of 38 lives of our citizens, Congress declared war against Germany. Now, after the 4,000,000 men that General Pershing had been drilling, were on their way over, some of them fighting in Europe – (a lot of you, here, went over, were fighting while this fighting was going on) a member of Parliament and others, who couldn’t stand it any longer, they came out with the secret that the Sussex was not sunk and no Americans lives were lost. And we were in the war! Now that is how the Jews got us into World War I, and that started everything because Wilson was elected. We had a national debt of one billion dollars. And since then it has gone up – I think it’s now 465 billion, after the wars we’ve been having, so that’s how the Jews got us into World War I. We had to make up our minds what to do, so the United States sent to Japan, and they said, “We can’t sell you any more scrap steel or oil.” Japan was fighting a war with China; Without scrap steel or oil, which they got altogether from the United States, they would have to withdraw from the war. So they sent nine different Ambassador here, trying to change Mr. Roosevelt’s mind. Ile said, “No, we can’t sell you any more, at all.” So, at that time, Germany and Japan had a treaty; Any country that declared war on either one was instantly at war with both! So, Mr. Roosevelt figured, “We’ll provoke a war with Japan.” That’s why he threatened them to cut off steel and oil. So they sent nine ambassadors here, and, finally, they couldn’t take it much longer, so you know what happened at Pearl Harbor! Now, Mr. Roosevelt figured, and it’s in Mr. Stimson’s diary, in his own handwriting, which is in the room at Yale Library containing all Mr. Henry L. Stimson’s papers – he was the Secretary of Defense. He wrote in his diary important things that went on (in his own handwriting) and under November 25th, two weeks before Pearl Harbor, he wrote, “The President sent for us to come to the White House. I thought it was to discuss the war in Europe, but he told us that we had to be at war with Japan but he didn’t want it to look as if we fired the first shot!” That is almost verbatim. Henry Stimson, the Secretary of Defense wrote that in his diary. That is how we got into the World War, because Roosevelt said, “We want to be at war with Japan, but we don’t want it to look as though we fired the first shot”! So we got the first shot, alright, at Pearl Harbor! But, the only way we could be at war with Germany was to be at war with Japan. Then automatically, under their treaty, we were at war with Germany. That’s how we got into World War II. We are now on our way to World War III. The chances are it will be a nuclear war. There is that chance, and I’ve been fighting, (some time and money) so that the conditions would not be set for that. Now, what happened. The Chairman of Senate Foreign Relations Committee, Mr. Fulbright, stated on Sunday morning television program, which according to the advertising services has 28 million listeners; he said, in answer to a question about the Middle East, he said, “You cannot do anything about the Middle East!” He said, “The Senate is controlled by the Jews; 90% of them have subverted the United States Senate, and you cannot do anything” – or words to that affect. “Now, they were trying to “frame” our Lord and Savior, claiming that he was influencing the people not to pay taxes so that gold couldn’t be shipped to Caesar. And that constituted rebellion. That’s why the trial was held, and that’s why Pontius Pilate put that up on the crucifix, “Leader of the Judeans” who were revolting against Rome. Now we all know everyone of you heard, hundreds of times, that at this trial, Jesus said, “Render unto Caesar that which is Caesar’s, and unto God that which is God’s.” He was not advising the people to withhold taxes paid to Rome. So, you see, you, as representatives, and high representatives of the 200,000,000 Christians in the United States, have got to learn the facts. As I was talking, here, to one of your erudite members, it’s alright to be interested in baseball and basketball and football and golf, cross-word puzzles – I don’t know how many hundreds of millions of hours a year was wasted by women doing crossword puzzles! It satisfies their ego to say, “Oh, Minnie, I got all but two words, yesterday!” And they compete with one another. They spend hours, buy dictionaries, and they don’t know the first thing about the correct facts of existence. Now, we didn’t ask to come into the world; neither did our children, but we owe them a debt. We owe a debt to these men who sacrificed their lives to save this country, so let’s see what we can do. Mr. Freedman knew what he was talking about because he had been an insider at the highest levels of Jewish organizations and Jewish machinations to gain power over our nation. Mr. Freedman was personally acquainted with Bernard Baruch, Samuel Untermyer, Woodrow Wilson, Franklin Roosevelt, Joseph Kennedy, John F. Kennedy, and many more movers and shakers of our times. The Willard Hotel, Washington, D.C., speech was given before a patriotic, Christian audience (NOT before Nazis as some have suggested) in 1961 on behalf of Conde McGinley’s patriotic newspaper of that time, Common Sense. Though in some minor ways this wide-ranging and extemporaneous speech has become dated, Mr. Freedman’s essential message to us — his warning to the West — is more urgent than ever before. of its schemes. Mr. Freedman is a former Jew, and I mean a FORMER Jew. food supply facing her — and after that, starvation. British war cabinet and they said: “Look here. You can yet win this war. nurses. They were cutting off babies’ hands. And they were no good. Germans told them… you can imagine. So what did they [the Jews] do? way the Mark was devalued — they bought up practically everything. 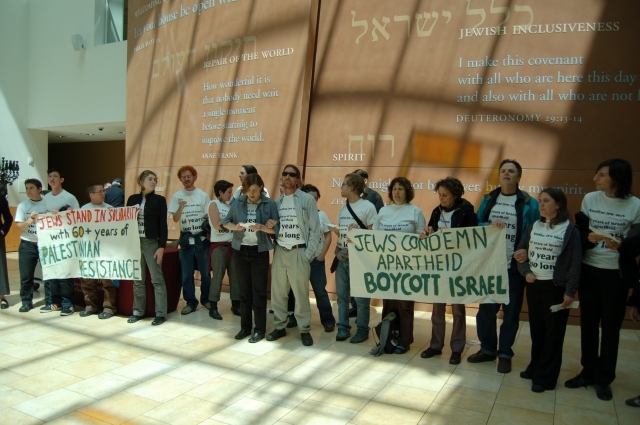 boldly stated that: “this economic boycott is our means of self-defense. the world with the words “made in Germany” on it. signs saying “MURDERS” and “HITLERITES”, and so forth. it, but many here have read it, and it’s known all over the world. whether you’re coming or going. would lend them 40,000 soldiers. That’s how big and powerful they were. Chinese called themselves ‘Arabs’. Imagine ! Why, you’d say they’re lunatics. you go fishing, you’ve got to play with the fish. Let ’em out and pull ’em in. father, I don’t think Mr. Kennedy is totally in the dark. But… I want to tell you one more thing. You talk about… “Oh, the Jews. rabble-rouser. I’m here to give you facts. recited on the Day of Atonement, and that exempts you from fulfilling that”. barrel. I suppose we’ve all reached that at times. I do try to help him, but I haven’t been able to. And I will be very honest. root, but for God’s sake, this is our last chance. first written in Greek, Latin, Panantic, Syriac, Aramaic… all those languages. as a Judean. I’ve seen those early… the earliest scripts available. then ‘ ivw ‘, and finally in the 18th century… ‘ jew ‘. Jew. that. I’d like to know the text. pulled it out of the air… a meaningless word. the right direction. I’ll go wherever I have to go to meet him. The Eastern Europeans said, “What the hell. We should give up Kol Nidre ? Cabinet — negotiated the deal with these Zionists. Christian ‘race’ ? or a Christian religion ?… or are the Christians united ? that you won’t buy from them until they have the gold star”. BLACKMAIL. I don’t know what else you can call it. of money. In other words – what we call interest [usury] is a sin. they were going to have a constitutional monarchy. But they didn’t want that. everything you’ve got”. It would pay you to read that. Mr. Kennedy’s office gave me this himself. Mr. Smith, who succeeded Mr.
and speed are necessary to halt any aggression by any nation”. have plenty of room in Utah and Nevada. Settle somewhere else”.